Big U.S. tech companies are spending millions to influence European policy. As regional regulators take a harder line over data privacy and anti-trust issues, companies such as Google are stepping up efforts to persuade them to play nice. Much of the focus is on Brussels. The Belgian capital is home to the European Commission, which enforces EU rules across the world's single biggest market. Companies are not required to disclose their EU lobbying, but a voluntary transparency register shows that U.S. tech firms are among the biggest spenders. 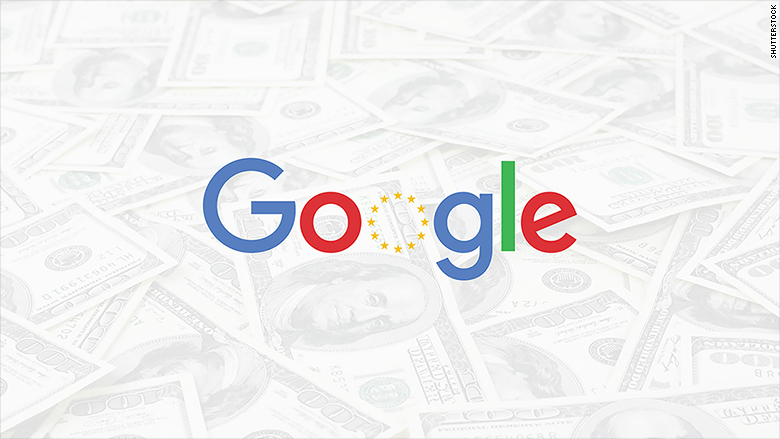 Google (GOOGL) shelled out about $4.5 million trying to influence EU policy making in 2014, according to the register. That's still peanuts compared to the $17.4 million the company paid lobbyists in Washington, D.C. last year, but represents a threefold increase over its 2013 spending in Brussels. Lobbyists representing Google have also scored the highest number of meetings with officials from the European Commission -- 29 between December 2014 and June 2015, data from Transparency International show. Google is currently trying to fend off antitrust charges from the European Commission over the way it favors its own search results. It could face a fine of up to $6 billion -- more than a quarter's worth of profits. The EU is becoming increasingly worried about the dominance of Big Tech, and has launched a program to boost the European tech sector. Google isn't alone in finding itself facing increased scrutiny in Europe. The EU's top court on Wednesday issued an opinion that could prevent Facebook (FB), and others, transferring large quantities of user data to U.S. authorities. Apple (AAPL), Amazon (AMZN), Qualcomm (QCOM) and Mastercard (MA), are also feeling the pressure. They're also spending heavily to improve their image. Microsoft said it spent as much as $5.4 million in 2014, on a par with 2013. The software company has had a difficult past with Europe, having been slapped with a record $977 million antitrust fine in 2008. Amazon spent up to $800,000, Apple $911,000, and Mastercard around $1.1 million last year. Facebook said it spent between between $450,000 and $570,000 in 2013, but did not reveal its 2014 bill. The company did not respond to CNNMoney's request for more details. Qualcom, currently the subject of two separate antitrust investigations by the EU, spent about $500,000 in 2014. Other U.S. companies are also forking out millions in Brussels. Four of the top 10 spenders are from the U.S., with Exxon Mobil (XOM) admitting to spending up to $5 million euros on lobbying, more than any other company. General Electric (GE) joins Google and Microsoft in the top 10. Related: Europe dreams of closing digital gap with the U.S. Experts from Corporate Europe Observatory, a Brussels-based lobbying watchdog, say the money spent is just part of the picture. They're just as worried about the "revolving door" of former European Commission officials crossing into the corporate world to become advisers. The practice is not illegal, but is regulated. Former officials have to apply for authorization for two years after they have left the Commission. The head of Facebook's Brussels office is Erika Mann, who served as a member of the European Parliament for three terms between 1994 and 2009. Per Hellström, a senior director of regulatory affairs at Apple, worked for the European Commission for over 17 years before joining Apple last year. And Tobias McKenney, currently an intellectual property adviser at Google, spent five years as a policy adviser at the European Commission, focusing on -- wait for it -- intellectual property. Corporate Europe Obervatory estimates there are 30,000 professional lobbyists in Brussels. That's nearly one for each of the 33,000 employees of the European Commission. The huge number makes Brussels the world's second biggest lobbying capital, behind only Washington, D.C. Experts say Brussels is fast catching up, even if most companies still spend much less than in Washington. "The lobbying sector in Brussels is growing very fast, as many U.S. companies realize that it is the European institutions that made decisions that will affect their future business," Olivier Hoedeman from Corporate Europe Observatory said.